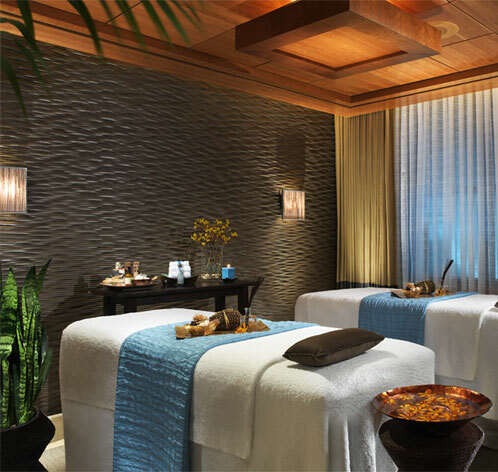 Steps off Las Vegas's infamous Strip lies the dramtic new Qua Baths & Spa at Ceasars Palace. A luxurious retreat with an array of unique treatments and services. Bathed in natural light and accented by smooth stone flooring, dark wood, and cascading waterfalls, Qua's atmosphere is ideal for relaxed "Social Spa-ing" as well as individual experiences. Reminiscent of the glorious baths of ancient Rome, Qua Baths & Spa creates a vibrant space that highlights the healing power of water.